BJCORP forming two kind of pattern. 1. 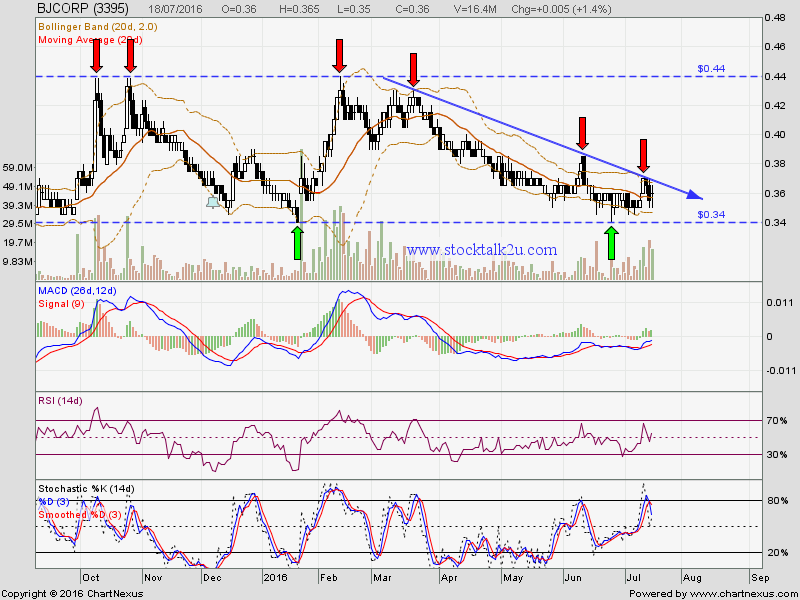 Period of 1 Quarter chart: descending triangle pattern. Will it breakout the descending triangle resistance? 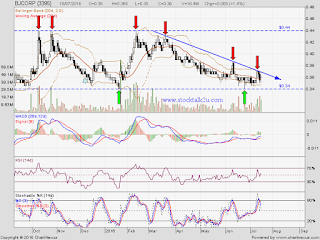 Subsequent resistance @ RM0.385 level. Immediate support @ MA20 which is RM0.355 level. Subsequent support @ RM0.35 level. Let's watch closely BJCORP next few quarter report card.